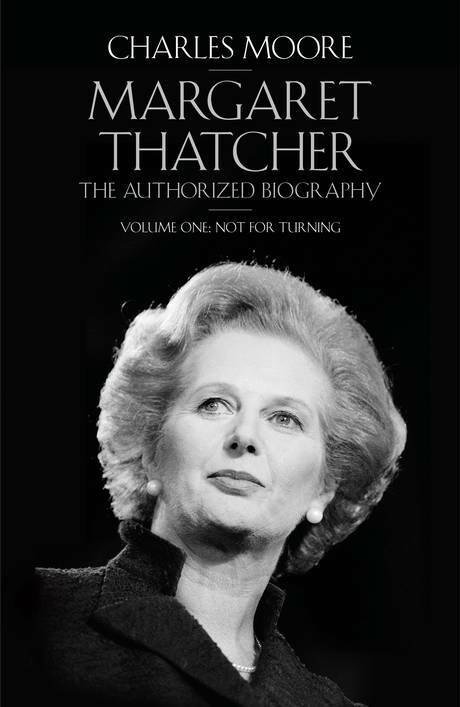 In the days immediately following Lady Thatcher’s death in April, some observers might have been forgiven for thinking that they had good cause to doubt the choice of official biographer handpicked by the former Prime Minister to chronicle her life and career. Appearing on BBC’s Question Time and elsewhere, former Daily Telegraph editor Charles Moore made a number of bizarre pronouncements. Lady Thatcher’s economic policies were a direct result of her gender apparently. The Lady played a major role in freeing Nelson Mandela too, we learned. She was not as apathetic about Apartheid as was previously thought. And, most eccentric of all, apparently Lady Thatcher wasn’t a divisive figure. This is just a myth propagated by the “left wing” BBC! Strange indeed. As anyone who watched it will know, the BBC’s coverage of the days following Lady Thatcher’s death was reverential in the extreme. Surely the fact that the first woman Prime Minister was divisive is the one thing everyone can agree on? This did not bode well for the first volume of Moore’s biography which takes us from Lady Thatcher’s humble birth in 1925 to her “finest hour”: victory in the 1982 Falklands conflict. In fact, although inevitably sympathetic to his subject (it would be surprising were he not), this is actually a triumph. Perhaps no Prime Minister has had a stronger mythology structured around her life than Margaret Thatcher. Somehow the stories of Tony Blair being in a rock band at Oxford or Ted Heath’s days in the Second World War have never caught the public’s imagination in the same way that Margaret Roberts’ rise from Grantham grocer’s daughter to Downing Street has. Moore succeeds in making this well-worn subject, covered expertly in the past by the late Hugo Young, John Campbell and by the Lady herself, remarkably fresh and readable. He even uncovers new information. He exposes the lie that Denis was her first boyfriend. There were several others before him. Perhaps the most extraordinary fact is that the young Margaret as revealed through frequent teenage letters to her sister Muriel was remarkably ordinary. She is far more interested in fashion, films and making ends meet than in the underlying progress of the Second World War (rarely mentioned in her letters). She is a perfectly normal girl – a little bossy perhaps, but hardworking. She is not unlike the parody of Margaret Hilda Roberts written by Adrian Mole author Sue Townsend twenty years ago. She was sneered at for taking elocution lessons by her lower class contemporaries. Like Richard Nixon, she developed a slight resentment of the privileged leftists who often sneered at her too, in her case at Oxford. Denis remained bedrock of support throughout her life after their marriage in 1950 and is entertaining in the book. “Oh God. They look like rabbits. Put them back!” was his reported response on first seeing his twin children, Carol and Mark. Inevitably, as her ambition grew, Margaret grew distant from her sister, father and old friends. Although she held her father up as her political inspiration on entering Downing Street in 1979 stating that she “owed everything” to him, in reality, she had seen little of him in the years after she became an MP in 1959 and his death in 1970. This is understandable. She was a mother of two, a rising politician and a young woman in a hurry. It is hard now to appreciate just how unlikely it seemed that Thatcher would ever be PM in the years before it happened. She herself had set herself the ambition of being the first woman Chancellor of the Exchequer as the summit of her ambition (interestingly, this remains the only one of the great offices of state which no woman has held even now). She only stood in 1975 when it became clear that now largely forgotten figures like Edward du Cann and Keith Joseph were not up to the challenge of displacing Edward Heath. “Heath will murder you,” predicted Denis. He was wrong. Even as Opposition Leader, her prospects of power looked remote. Heath, still in his early sixties and more popular than Thatcher always seemed poised to make a comeback. Prime Minister Jim Callaghan remained more popular than her too right up until the 1979 election. Only the mistiming of the election that never was by Sunny Jim (a mistake Gordon Brown repeated twenty-nine years later) and the ensuing “Winter of Discontent” ensured her General Election victory in May 1979 just as the Falklands conflict ensured her resurrection in office three years later. This is a long book- over 700 pages long – taking us from 1925 until 1982. Moore overstates Thatcher’s role in ending the Cold War (it is very hard to see how even without Thatcher it wouldn’t have ended as it did anyway) but happily, despite his pro-Tory leanings keeps it entertaining throughout. Unlike the Lady herself, it never really feels like it’s going on and on and on. Volume II is keenly awaited.